The Langelinie Pavilion in Copenhagen is a post-war Modernist building whose simple composition consists of three rectangular boxes of different sizes stacked on top of one another. The pair of architects Eva and Niels Koppel created modules made of steel and glass, which are oriented towards the horizon and offer a view of the Copenhagen waterfront, home to the famous Little Mermaid. When the Norwegian designers Anderssen & Voll were asked to design the stackable Pavilion armchair for &Tradition to furnish this historic, multi-functional venue, they wanted to combine classic modernism from the 1950s building construction with a new modernity. 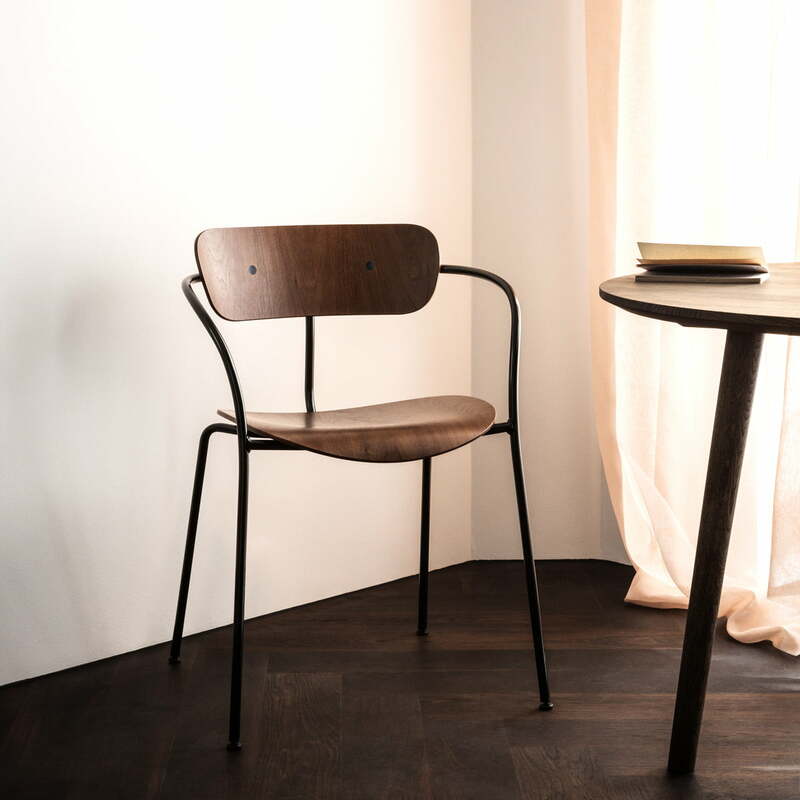 The Pavilion armchair by Anderssen & Voll for &Tradition has a light, lyrical, graceful silhouette from every angle. The chair is made from bent tubular steel and moulded plywood. 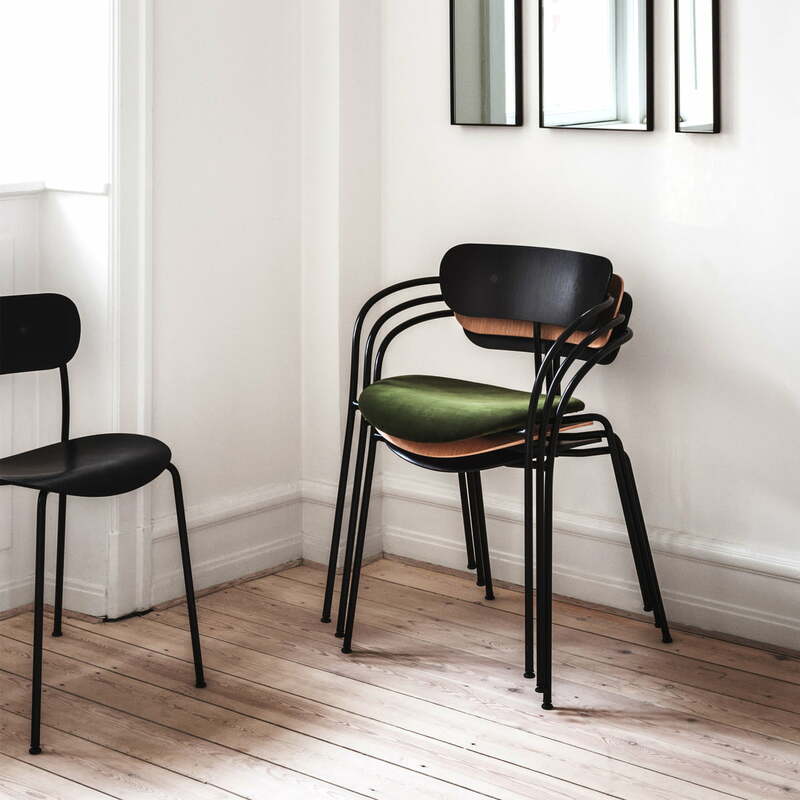 Frame, seat and backrest are optically aligned and create a chair that can be timeless and elegant in any setting. Its soft, generous curves and the filigree tubular steel of the frame make it a real eye-catcher. 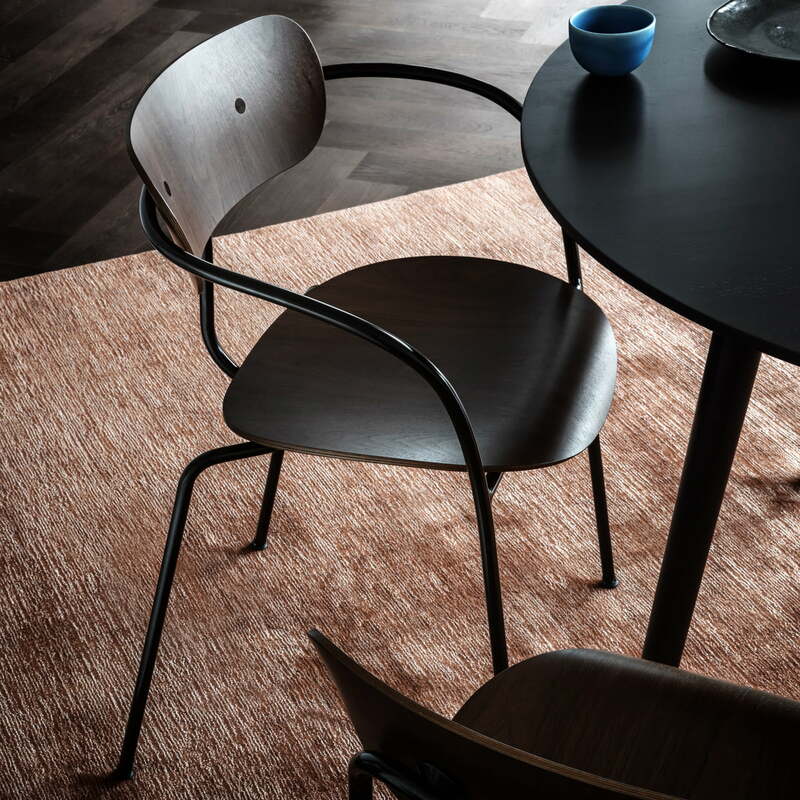 The chair works particularly well at the dining table in the kitchen, at the desk in the bedroom but also in modern cafés and stylish hotels. The chair comes in different versions and is available with or without upholstery, and even without armrests. 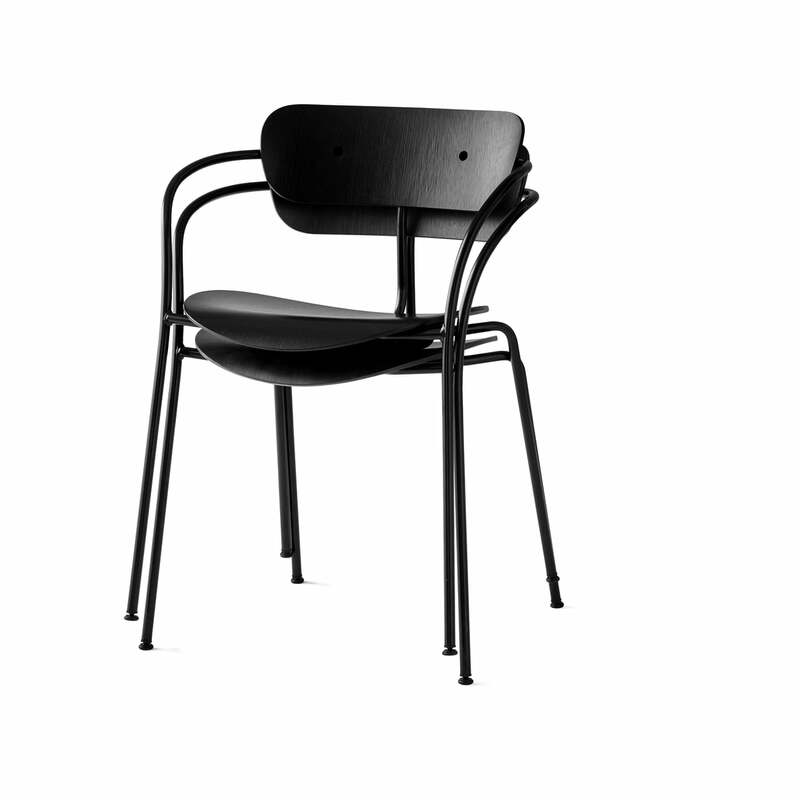 Isolated product image of the Pavilion armchair by &Tradition with a frame made from tubular steel in black and a seat and backrest consisting of lacquered oak in black. 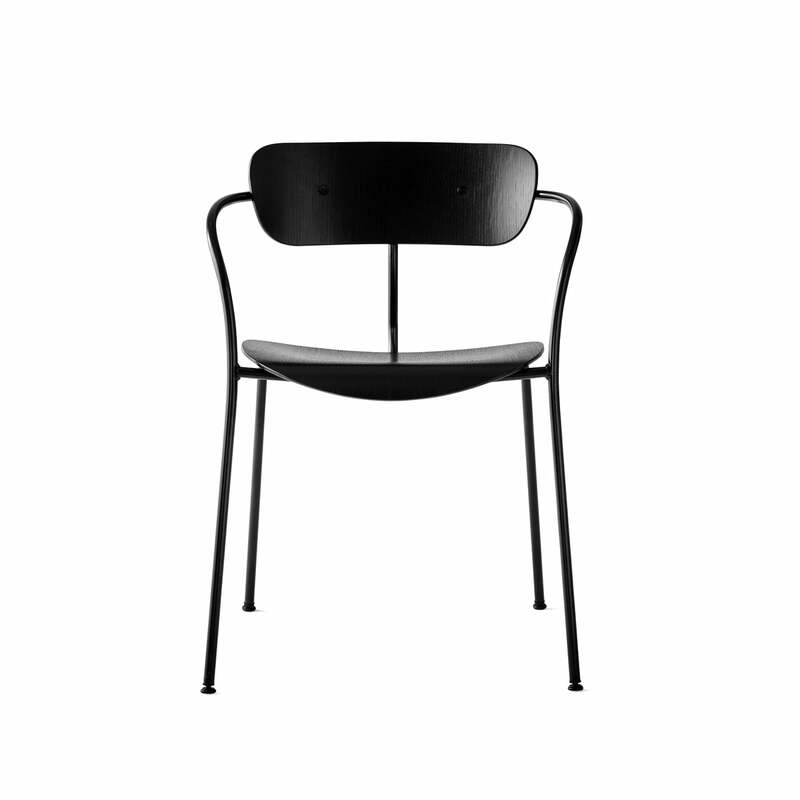 The Pavilion chair by &Tradition with black base / black lacquered oak: Its soft, generous curves and the filigree tubular steel of the frame make it a real eye-catcher. 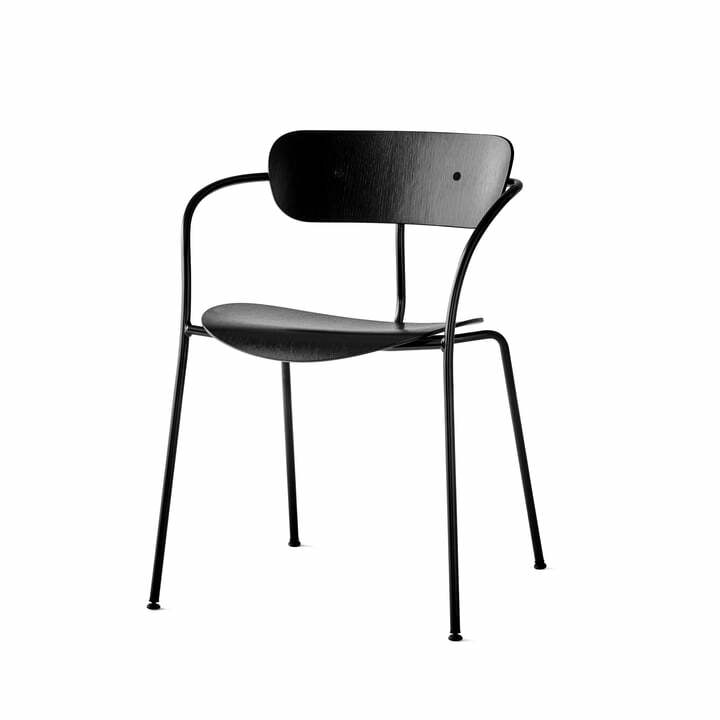 Isolated product image of the Pavilion chair by &Tradition with black base / black lacquered oak: The chair is made from bent tubular steel and moulded plywood. 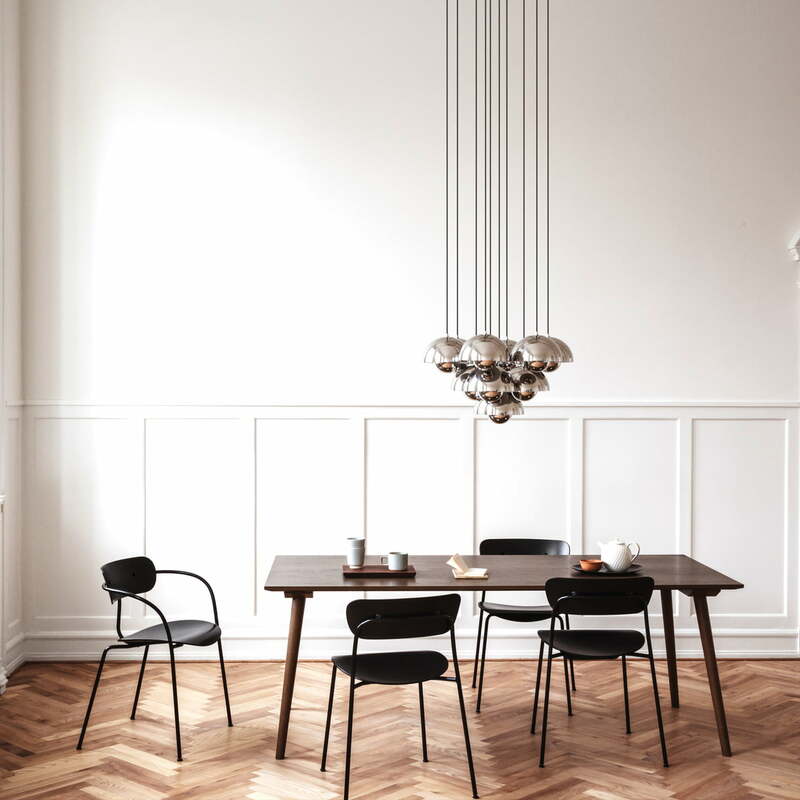 The Pavilion armchair by &Tradition with a black base / lacquered walnut The Pavilion armchair by Anderssen & Voll for &Tradition has a light, lyrical, graceful silhouette from every angle. 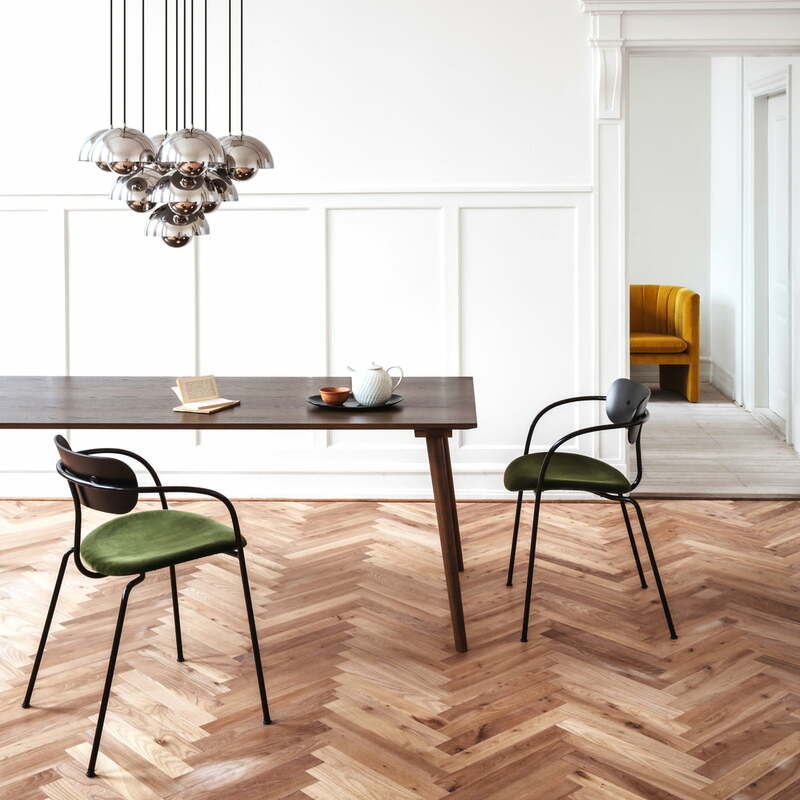 Lifestyle product image: The chair work particularly well at the dining table in the kitchen, at the desk in the bedroom but also in modern cafés and stylish hotels. 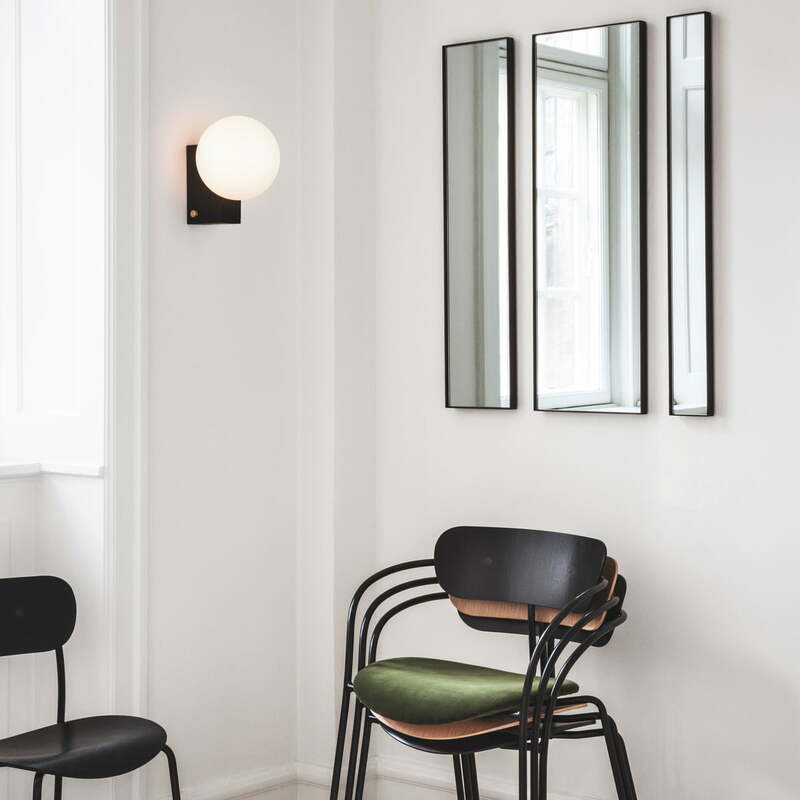 The Pavilion Armchair by &Tradition: Frame, seat and backrest are optically aligned and create a chair that can be timeless and elegant in any setting.